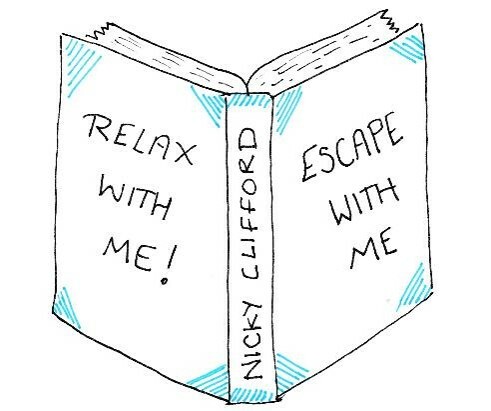 Nicky Clifford – Novels, Short Stories, Poems and more . . . In need of some rest and relaxation? Had one of those days? Grab a coffee, a fruit tea, a glass of wine, or if you are feeling very decadent, a colourful cocktail. Pull up a chair or sofa or chaise lounge or even better, a sun lounger and . . .
. . . take my hand. Let me lead you into my world of stories and poems and images woven just for you. 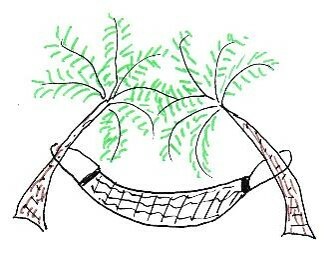 Sit back, lie back, fall back, but whatever you do, do ‘nothing’ and ENJOY! Love your tuna story. Looking forward to reading many more. Thanks so much – I had fun writing it! I saw your interview on Linda’s Book Bag and thought I’d drop in. I, too, am self-published (my books have also been published by Hodder & Stoughton – a decade ago). For an indie, promoting is hard work. Up until now I’ve had the organizational capabilities of a chimpanzee – now I HAVE to be organised or I will drown – literally! – under a mountain of papers and files. At this point, I don’t know anything about you, Nicky, but I intend to find out! P.S Your website is warm, friendly and welcoming – unlike mine that looks like it belongs to a tax collector – not a romcom writer. Thank you so much for taking the time to write me a note on my website – I really appreciate it – it makes a lovely change from a lot of spam messages! I am so glad you like my website. 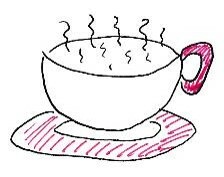 I will have to have a wander over to yours – I am sure it won’t look like that of a tax collector!